What Matters for a Restaurant - Prime Location VS Perfect Ambience? While devising a strategy for your hospitality business, various factors are considered in which location and ambience are the vital ones to decide. Confused? Is it the ambience or the location which contributes most towards the profitability of a restaurant? Although, the types of cuisines, the taste and pricing become the biggest factors for bringing customers towards a restaurant but other two factors which have also been under constant debate, are; its location and ambience. Taking an example of MM Alam Road, Lahore, what do you think, why do you go to a particular restaurant? Is this the ambience and food quality or the location which serves to be the prime motivation for you? Customers want a complete experience of dining out in a restaurant because if it is just about the food then getting it delivered at home is the easiest solution. They want to be served as special and the ambience of the restaurant enhances the eating experience. If designed by a professional interior designer in Pakistan, the ambience of a restaurant compels customers to stay longer and makes them visit again as well. Although, the online rating, customer service and a positive-word of mouth from others are basic factors in bringing customers to a particular cafe but more often it is the décor that magnetizes people to go and enjoy in a more relaxed, luxurious and peaceful place. Even at times, people plan to eat in a particular restaurant just to experience and enjoy its ambience. Why a coffee taken at Gloria Jeans is far expensive than at a local dhaba and still coffee lovers prefer to choose the former option? This is mostly because people justify high pricing with an epic ambience that not only enhances the taste but also boosts the comfort level. What if a restaurant offers both – the quality food and a compatible dinning mood or quality food and is easy to approach? What mix is preferred by the customers nowadays in Lahore? If we look around us, there are many restaurants which are new and even nearer to residential areas and this factor certainly has eliminated or has decreased the significance of location. That’s why people now prefer ambience and the food quality more instead of location. Good taste and amazing ambience last longer in the minds of the customers, due to which they prefer to even travel a lot to experience that environment. This is what provides a restaurant or a hotel a competitive edge over others not only in the same locality but also throughout the town. For instance, if you prepare Chinese food and the interior and exterior of hotel/ restaurant carry that particular cultural theme, the customers would love to come to you to feel like dining in China. This is logical. A comfortable, peaceful, culture-enriched ambience is appreciated and it shows the customers how much they are being cared and valued. . This is the reason that people share their enjoyable experiences by praising the ambience and off-course the customer service. Even the ratings, the positive reviews and comments, help in bringing more customers towards that particular restaurant/ hotel. Do you think that location does have a role in making people decide about eating at a particular restaurant? Has mindset of people in Lahore changed with time in order to decide about eating in a new restaurant or staying at a hotel? They would go to its website, will check the menu, rates, deals, location and most importantly the reviews. If the reviews are positive, the customers would definitely visit it without bothering about its distance from their locality, provided the restaurant is sited in the same town or city. The location was the key for a successful business in the past but it was perceived that those restaurants and hotels located in the inner streets, don’t get as much traffic for being out of sight. Though, to some extent the location has a role to play but don’t forget that with Google map and GPS system it has become much easier for customers to trace a locality. 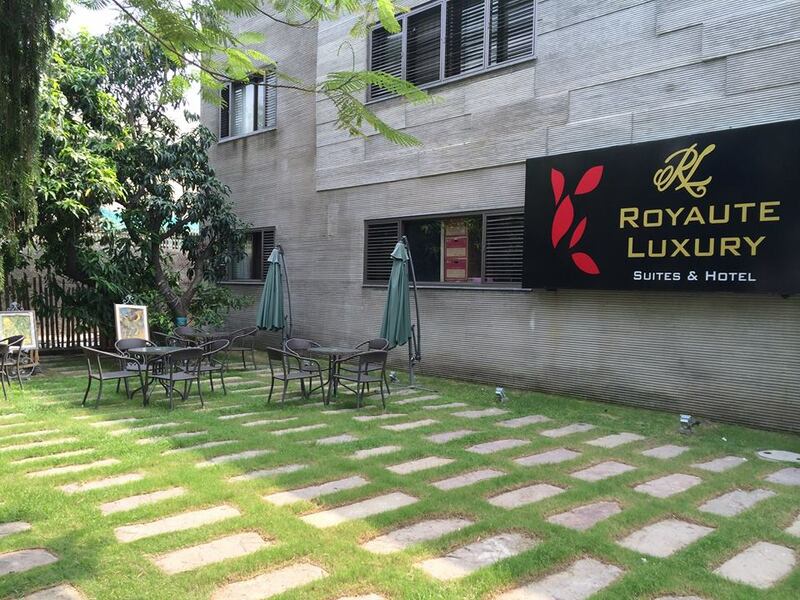 For instance, Royaute Luxury Suites & Hotel, in Lahore M.M. Alam road is not located on the main road but a bit inside, opposite to KFC, nonetheless still it receives customers’ bulk just because of its uniquely designed interior, designed by Pakistan’s renowned architectural and interior designing firm – Amer Adnan Associates ®.